The Queensland Community Association provides a welcoming place for information, events and services through partnerships and an accessible facility for all members of the community. 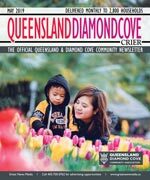 The Queensland Community Association (QCA) is a volunteer organization working together to create a passport to all the great happenings in the Queensland Community.Its members and volunteers are dedicated to bring a safe, happy, strong and solid environment for all of its residents. In the City of Calgary’s 2014 Civic Census, Queensland, with a land area of 1.8 km², had a population of 4,984 residents, living in 1,905 dwellings. The Median Resident of this community is 38 of age, and earns a median household income of $60,175 a year. The Median Price for Sold Homes was $389,900 in 2014. For more detailed info visit the City of Calgary community profiles site.